BioTIME2 is a standalone fingerprint Time Attendance system, designed specially for large middle corporate and industries. The identification speed is fast and FFR and FAR are low. Memory stick solves the problem of no PC in local site. You just download records into the stick and take it to where there is PC. Supports TimeTrak and Payroll software for reports generation. Algorithms with dependability and accuracy, identification speed obviously improved, process 1500 Fingerprint. Identification time within 0.7 second. Alarm for invalid time attendance and repetitious. Sensor window cotton improves image quality, accepts dry, wet fingers. Company is not only powerful manufacturer of skin biometric time tracker products, but haivng their own supply chain across india with leading biometrics dealers, distributors and other biometrics suppliers. company's manufactured biometrics are of high quality with Global standards. Company has been manufacturing biometrics for last eight years. Their Ahmedabad based Biometrics manufacturing center is having skilled professional staff. Mantra Softech (India) Pvt Ltd designs, provides and manages biometric solutions utilizing its proprietary Fingerprint Technology - designed for the purpose of"1-to-Many" fingerprint matching solutions. The company's innovation is to transform the fingerprint technology where any integrator, customer or manufacture can pick its own hardware and be able to keep the same matching software compliance. Mantra Softech (India) Pvt Ltd mission is to provide this solution to its customers in order to make biometrics solution for everyone without worrying of the limitations that fingerprint scanners have in different environments. We are committed to providing total and quality Biometrics solutions to give technology leverage in enhancing business and security. 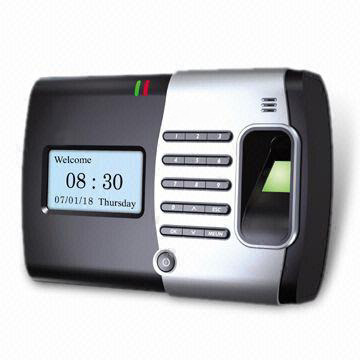 Company offers Biometric time attendance scanner to capture fingerprint/ thumb print according to AICTE, INDIA Norms. Our image capturing according to the standards of AICTE rules. company selling biometric time clock fingerprint scanner according to standards of FBI and UIDAI, AADHAR project of Government of India. Data hosting and information management technologies for authenticated storage and exchange of critical information. Our all indigenous products cover wide variety ofsecurity aspects ranging from Time Attendance to Access Control system. Established in 2002, the Mantra Softech (India) Pvt Ltd develops identity management and access control solutions for the information security requirements of large and medium sized organizations. In addition to the standard access protection systems in common use such as passwords, smart cards, solutions offered by Mantra Softech (India) Pvt Ltd also include sophisticated biometric identification systems. As India’s leading company in this security field, we knows how to deal with all the problems that must be faced when providing secure entry safeguards for workstations, infrastructures and computer systems. Solutions provided by the Mantra prevent hostile penetration of systems; protect information in unprotected legacy systems, monitor users' activities, control physical access and more.